Need a mentor? Contact me. I can hook you up. 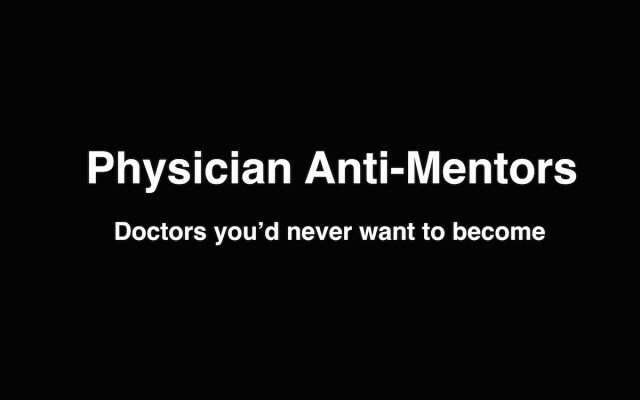 Want a bunch of amazing mentors for life? Join our teleseminar! Pamela Wible, M.D., founded the Ideal Medical Care Movement. She has been awarded the 2015 Women Leader in Medicine by the American Medical Student Association for her inspiring contributions to medicine. Contact Dr. Wible. She loves to hear from med students and docs. Well said Pamela. Right on. I am willing to mentor a student……. I agree with most of what you say. While everybody in today’s world knows about the problem of burnout, most physicians don’t really do anything to deal with it, or better still, prevent it from an early stage in their careers! As a life coach and surgeon who has been through it, I feel that getting out of the system is an easy way to escape. But think of the loss to the country, the public, and to the person themselves, when a person decides to quit medicine! After all, most people go into medicine for truly altruistic purposes – to lose them fue to disillusion is a true loss. I believe burnout should be recognized as a true risk, and students should receive coaching to develop the skills to take care of themselves through a stressful but challenging and cery rewarding career. I love reading Dr. Pamela Wible’s articles posted here on her blog. They are so inspiring for prospective healers in this day and age. I welcome the chance of becoming a private practitioner in the not-too-distant future as an aspiring Acupuncturist and Oriental Medicine student and have met some pretty inspiring mentors and solo practitioners who are happy, healthy and successful in what they do. Definitely there is a welcomed solution to the growing healthcare demands of over-capacity patient to doctor ratio, and the growing demands for better healthcare alternatives to the problem of burnout and anxiety. Glad the Dr. Pamela addresses these issues here in a down-to-earth, open and proactive sort of way. Welcomed news to any students aspiring to become altuistic and empathetic healers! Change is possible with the right mentorship and advisors. Kudos to Dr. Pamela and her award-winning campaign of excellence in healthcare!